The Southwest Florida Christian Academy High School Guidance Department serves students in grades 9-12. We assist high school students with academic, personal/social, spiritual, college and career development. This support ranges from assistance with high school course selections, standardized testing, college admissions, and financial aid/scholarships to school-related issues. Remember ~ we serve as an advocate for the students, an ally for teachers and a liaison with parents. The College Counseling office at SFCA is committed to providing our families with the most comprehensive college planning available. One of the main goals of our office is to encourage students to prepare early for their college plans after high school and to assist students with finding their college fit. SFCA has 100% college acceptance to universities all over the United States. 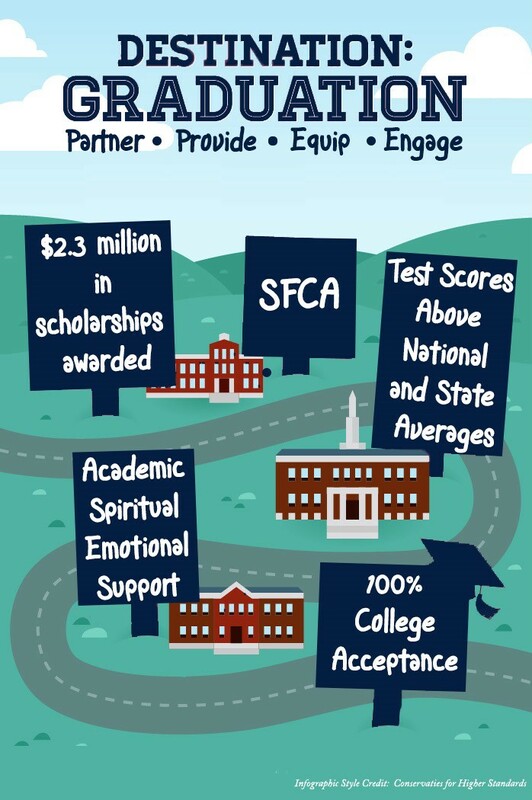 The SFCA High School Guidance Department's mission is to enhance student achievement through academic, personal/social, spiritual, college and career development. We aim to help students match their skills and abilities, interests and knowledge, values and preferences with plans that meet their educational and future goals.